Written by Rick Wise and posted on April 6, 2011 . Here we go with my first blog. By starting this it’s my hope to start recording my thoughts and feelings, if only for myself, about why I am in this kind of business in the first place, and what it’s like to try and run a business on the fringe. At least that is what I thought about it when I started about 16 years ago. “On the fringe” Since then kayaking has become a little more mainstream. Who would have thunk it back then? Anyway… here we go…taking the plunge. (At least if I capsize, I know how to right myself). Why I love kayaking! Kayaking takes you places you just can’t get to any other way. 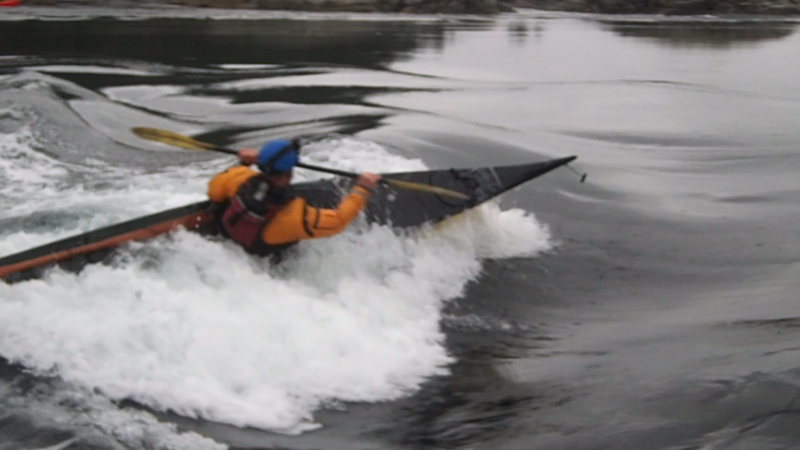 I love the fit and the feel of sea kayaking, cutting on an edge across a liquid glass surface or crashing with purpose through a twisting spasm of exploding rolling energy. A kayak takes your mind and your emotions and, by default, the rest of you on a journey of exploration and transformation. Not only of a place but of yourself in that place. It’s not just a mode of travel, it’s a way of thinking, a way of listening to the magic and music that is open water. Since the first time I glimpsed these elegant and inspiring craft silhouetted against an evening sky, I have loved what they represent. That to me is a connection, a connection to my ancient self. It is a synthesis of new technology and ancient design, a design that is shaped by a rhythm and calling as old as the sea itself. It calls that ancient piece of me that connects to the sea and sky and earth and brings me from whatever trap this modern world has contrived for me, back to that safe place in my soul. No matter where I am, what direction I am heading, my kayak always brings me back home again.